It’s a good idea to always say “yes” when you’re asked to accomplish a difficult photo assignment. Even if you have no idea how you’re going to do it. In February, 2014, Brazil’s Superinteressante magazine approached São Paulo-based photographer Tomás Arthuzzi about shooting a demanding image for an upcoming special issue on diets. “Translating from Portuguese, the title for the photo would be something like, “The Diets That Work,” says Arthuzzi. 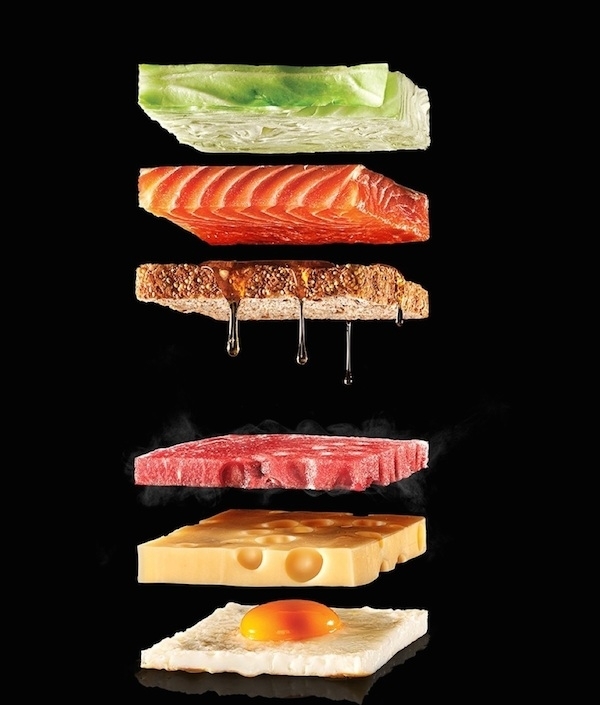 The magazine’s art director, Rafael Quick, had come up with an idea for presenting a number of healthy foods in a graphic way, sliced and floating together in a virtual “stack” of nutrition. 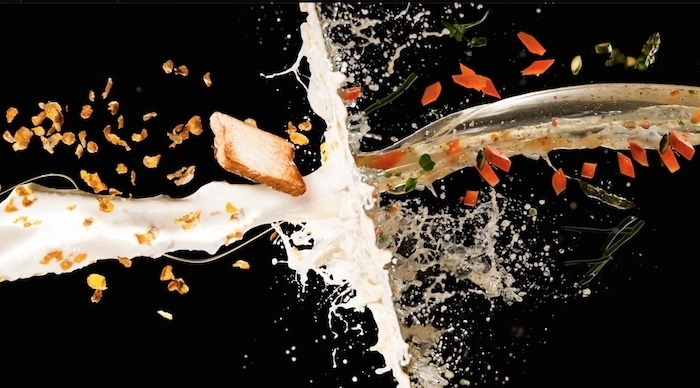 After shooting the individual pieces of food, Arthuzzi put together the final image in Photoshop. “That part was not too complicated, as the background is pure black and everything was shot like that,” Arthuzzi says. “It was just a matter of positioning and making sure to put shadows to make it believable that the individual foods were floating on top of each other.” The image was later named a winner of the Latin American Fotografia 3 competition.